Bought it since I'm a student and the dimensions fit exactly into the zippered slot on one side of my laptop bag. I left it in the plastic bag it came in, and it makes no noise, even when I run with the bag. I would not consider for young children, or those still growing - but it's good for adults and just-about-adults. This is a Great product... it Fits great in my pack. I purchased this backpack plate for a multi-hit capable option that I could take with me to school and not draw a lot of attention. With the escalation of school shootings in the past decade, I think anyone going full time should consider their safety. As a Father I think its my responsibility to do everything in my power to make sure I get back to my family. You can't stop everything but luck favors the prepared. 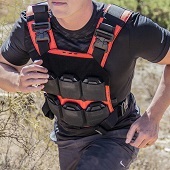 I have served in law enforcement, military and private security roles in the past and used soft and hard body armor of all different makes - this appears to be a fantastic product at a great price. It is heavy, probably to heavy to consider for the kids, but it is no problem being carried in my bag. Its thinner than I expected (I did not take the buildup coat) but I know it will still do the job and do it well. It fits nicely in a backpack designed for a laptop and gives me the protection I want without drawing attention. I purchased a neoprene sleeve for it so it looks a bit like a tablet in my bag when I open it up around people. No one has asked about it or even noticed and I leave my bag open during class. I'm sure this isn't the first thing that comes to mind but it should be considered. AR500Armor packaged this plate very well. They used plenty of reinforced tape and enough filler to completely immobilize the plate and contents and an inconspicuous outer package. Not a huge concern until you consider they have to send 8-20lbs on average across country with careless package handlers and often times left on the front door (like mine was). I was pleasantly surprised. Also the AR500Armor lapel pin included with the order was great and totally unexpected. 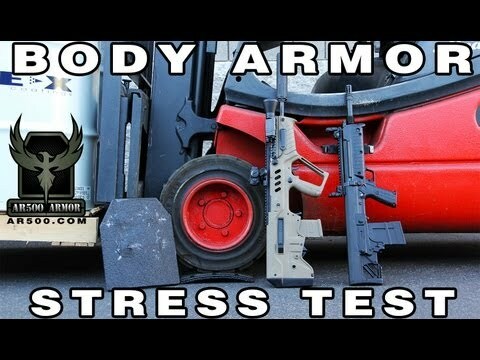 AR500 Armor is outstanding in my book. Not only will they have me as a life time customer but I certainly plan to expand my collection of AR500 products and tell my friends, family and co workers. Review from Josh, retired Recon. Review by Josh, retired Recon. Half of the reviews sound like they're from robots or idiots. You want the most honest review here? 8/10. Wonderful product. However situation ideal only. Hardly something for day to day or even certain scenario specific bug-outs. Yes this plate adds extra weight to my laptop bag but unless I'm walking more than a mile that's irrelevant. Fits in both my laptop bag and my backpack for school. As another buyer said they're versatile and if I felt like cannibalizing the inside of my car I'm sure they'd fit nicely into my seats. Dunno why I'd do that, I'm paranoid but not retarded. My son noticed the extra weight in his backpack one day but he said it was negligible. If you're buying for your child make sure they're even old enough to fire a rifle to begin with. Clearly not a product for a child. Other than that this is a wonderful product. Wish I had a plate in my pack in the desert. Would have saved a laptop, 2 spare mags a radio and my favorite MRE that way. If you are a person who "does not feel it" when a hypodermic needle delivers medicine or draws blood, you "will not feel it" when carrying this around. Everybody says, "oh that could never happen here!" They probably said that at the schools where the shootings happened. You're reviewing: AR500 Armor® Level III Backpack Armor 9.5" x 13"